PHOENIX – Most of those who identified themselves as independents see themselves as conservative or liberal. Most say they want to know who is funding political ads but don’t believe those ads affect their decisions as voters. Regardless of their gender, race or other demographic indicators, many rate education and the economy as the most important factors in deciding how to vote. Wanting to find out what’s on the minds of Arizona voters with the general election approaching, Cronkite News reached out to sources in the Public Public Insight Network to ask what really matters to them. Here are the trends among the 39 regular voters who responded. One of the responses came from an excited voter who was going to let his voice be heard for the very first time. Almost all of the other voters said they vote in every election. The similarities among respondents don’t extend much further. We heard from Democrats, Republicans, independents, Libertarians and those who don’t wish to affiliate with a particular movement. We heard from males and females of a variety of ages, races and demographics who said they saw themselves as “very conservative,” “very liberal” and everything in between. Thuy Lan Nguyen of Cronkite News reported in early October that Arizona ranks seventh in the nation for spending on political advertisements, with an estimated $15 million spent since January. We asked Arizonans if political advertisements helped shape their voting decisions. The answer was a resounding no. Only about half a dozen of those who responded said that political advertising had any effect on their vote, and those few people said it only “somewhat” affected them. On the other hand, almost all of the people we heard from said that the sources of advertisements and campaign money were an important consideration. Dianne Kling, a Democrat from Gilbert wrote that whether a candidate is captive to the people funding his or her campaign is the most important factor to her as a voter. Joe Garcia, director of communications for Arizona State University’s Morrison Institute for Public Policy, told Cronkite News in September that the rise of independent voters has less to do with ideology than with voters being tired of the current political system. We noticed that even though some of the respondents rated themselves as having either “very conservative” or “very liberal” ideologies that are typically associated with one of the main political parties, they also identified themselves as independents. Kristi Jenkins of Tucson is an independent but rates herself as a 10 on a 10 point Likert scale, with 10 being very liberal. “I just don’t identify with the parties,” she said in a telephone interview. 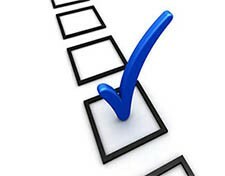 Timothy Davis of Tempe is unaffiliated and describes himself as a 6 in the Likert scale. He wrote that he believes being in the middle of the road or having a variety of beliefs would be good for Arizona politics. “I believe government does the least damage when the Legislature and Governor’s Office are split on partisan lines, one branch providing a partisan ‘check on the other branch from doing anything too wacky,’” Davis said. “Some might say that our current dysfunctional politics means such a split would mean nothing gets done at the Capitol, and to that I say, ‘So much the better!’ I’d rather no bills get passed than bad bills get made into law,” he added. Education and the economy were among the top “most important factors” articulated by our sources. Eli Blake, a Democrat from Joseph City, wrote that education is the reason he is voting for Fred DuVal. “Fred has pledged not to cut any more from education and to comply with the court order restoring funding that was illegally take from the schools … but for the sake of the kids still in school (including my granddaughter) I hope this money is restored and we don’t lose more of what kids could have but don’t,” Blake said. Richard Kwasneski, a Libertarian from Mesa, wrote that he hasn’t decided which gubernatorial candidate will get his vote but the economy will decide it. John Neville, an independent from Sedona, wrote that electing a governor isn’t the only decision voters should focus on. “If we keep the same bizarre group of legislators in Phoenix, very little of value will be accomplished,” Neville said. Cindi Valgento of Apache Junction, who referred to herself as a lifelong Republican but identified herself as an independent, wrote that she believes the economy and education are inseparably connected. Cronkite News teamed up with the PIN Bureau to ask voters what matters to them in this coming midterm election. 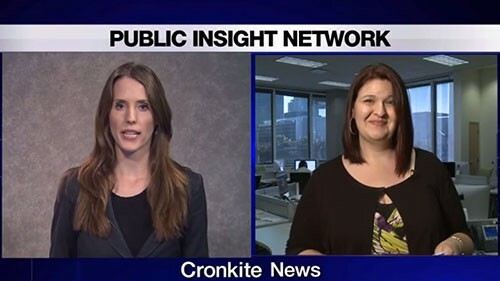 PIN's Rachel Lund joined Cronkite News live to discuss some responses from voters.